Due to these factors, AS/RS systems are among the most space efficient solutions available and offer the added benefit of labor cost reductions. However, these systems are expensive and typically not easy to change or reconfigure as business needs evolve. AS/RS systems should be carefully designed and planned to ensure that they meet expectations. 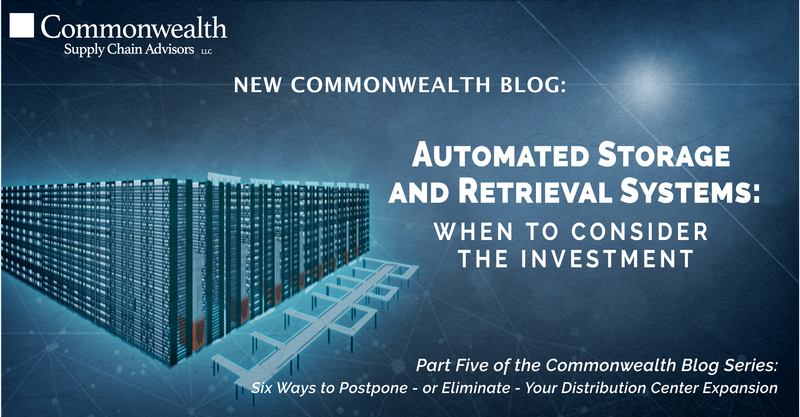 Next up in the series: A blog on pragmatic alternatives to AS/RS systems that may be worth considering for storage of slower moving, low-cube SKUs. Can’t wait? Read the Whitepaper: Six Ways to Postpone -Or Avoid- DC Expansion or watch the recorded webinar.